Posted September 23, 2014 by Kurt Henninger . You are probably familiar with what Adwords is and how it can help generate leads or sales for your business. As Adwords advertising has become more popular the cost of it has gone up, particularly over the last 5 years. However, compared to many other forms of print advertising and other media, Adwords is still very cost effective and can work for the vast majority of businesses no matter what the size. The vast majority of Adwords strategies that are available online center around cost-cutting and optimization. However, there is one strategy to use Adwords that is very low cost and is rarely ever talked about. That strategy is something known as remarketing or retargetting. Remarketing is where you digitally “follow” people who have visited some portion of your website all over the internet with specific targeted ads. A very common use for this is to “remarket” to people who came to your website and didn’t complete some specific action on your site, whether it is filling out a form or buying something on your website. There are a TON of other uses as well, but we will stick with this way of using it in this article. Generally speaking, as it applies to Adwords, this runs on something known as the Google Display Network. The Google Display Network is a huge network of sites which have agreed to host ads run through Google in order to generate revenue. You’ve seen these ads everywhere, but probably didn’t think that they were all part of Adwords. These can take the form of text ads, banner or image ads, or even interactive or video ads. There are other kinds of remarketing in Adwords as well, most notably RLSA which stands for Remarketing Lists for Search Ads and run specifically on Google.com. There are a bunch of remarketing services out there, even Facebook has their own remarketing tool. However, Adwords is a great place to start with remarketing because that is often the first paid digital marketing strategy that many small to medium sized businesses use and can be set-up fairly quickly. Why is Remarketing an inexpensive Adwords strategy? 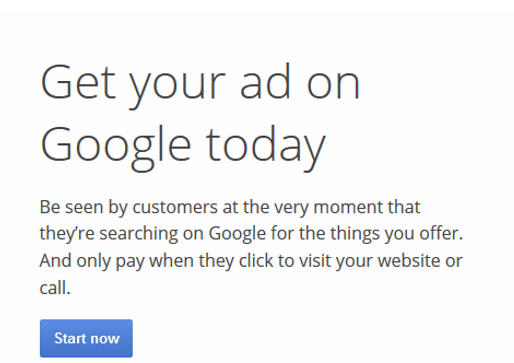 It’s inexpensive because it generally only targets ads to people who have already interacted in some way with your website and in the example we are using didn’t fill out a web form. These kinds of people are already predisposed to what you are offering on your site because they have seen what you have to offer. The audience you are marketing to is smaller, but generally more responsive to your remarketing ads. In one particular case study, remarketing converts at 22% less of a Cost Per Acquisition than regular search. That means that a lead generated from remarketing costs 78% of what a regular Search Ad lead costs. In Adwords, anyone can use remarketing. It’s just one particular kind of campaign that you set-up and one way to use that advertising platform. In fact, you don’t even need to run any other kinds of Adwords campaigns in order to utilize remarketing. What about in you and your business, have you ever used remarketing and what kind of results did you have with it? Let us know in the comments below! I really enjoy your posts. It never entered my mind to use conversion or acquisition costs as a metric. Thanks for the tip and keep the posts coming! Larry, thanks for stopping by and reading and commenting. We absolutely recommend you look at acquisition costs in particular as a metric. On a basic level, once you figure out how much you can profitably spend to acquire a customer, and how that translates into cost/lead or cost/call, then you can possibly expand your advertising or pare it down depending on if you are meeting those goals or not.